Meet the ocean’s most incredible mammal as part of a boat ride to remember. Ironically the great white whale of whale watching isn’t the white whale – it’s the elusive orca, which is actually a very large dolphin. Sometimes (a little unfairly) known as the “killer whale”, from April to October each year the Canadian west coast boasts relatively large numbers of orca pods, and during a self-guided paddle or an organised tour from Vancouver Island, you’ll likely see orcas, dolphins, sea otters, tufted puffins, bald eagles and more. An orca plays in the waters off Vancouver Island- photo courtesy of Shawn McCready. 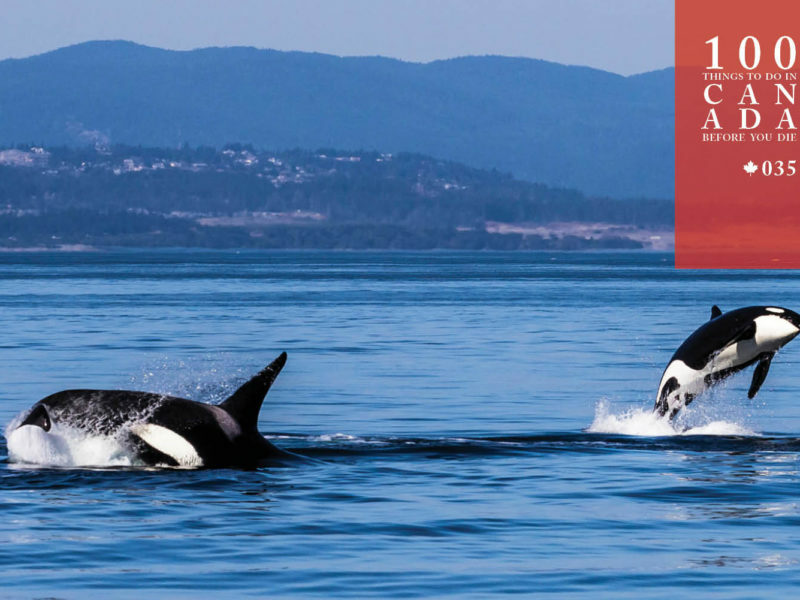 What’s more, the better tours – such as those run by Orca Spirit, operating directly out of Victoria – are hosted by marine biologists who can talk you through everything you’re seeing and answer questions. If the waters are calm enough, you may get to listen in on a hydrophone, lowered directly into the water to pick up the vocalisations of the travelling pods as they frolic and call to each other in and around the Haro Strait where the Canadian and US waters merge. 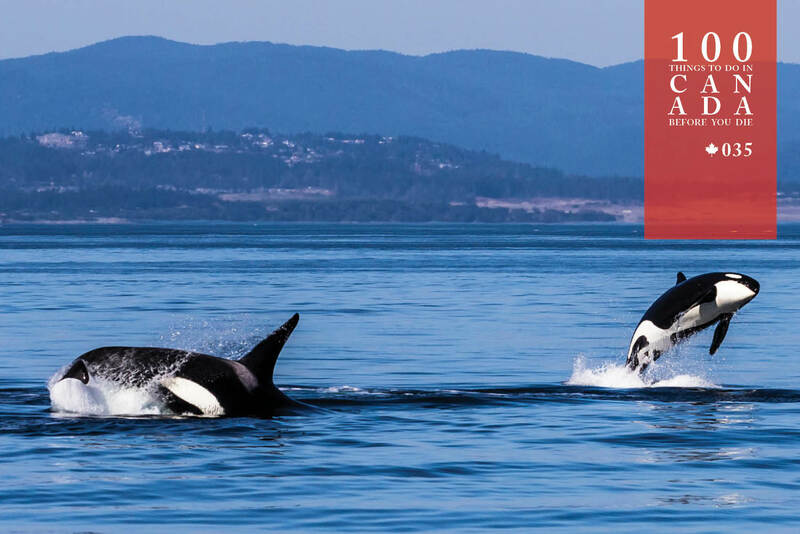 Spot an elusive orca from April to October, when they’re at their most prevalent, with B.C.’s Coastal Adventure. For more on Vancouver Island’s wildlife and nature experiences, go here. Vancouver Island is in the south-west corner of Canada, and Victoria, the capital of British Columbia, lies on its south-eastern tip. Near Victoria, orcas can be spotted in the Haro Strait to the east, and the Strait of Juan de Fuca to the west. An orca waves to sightseers.